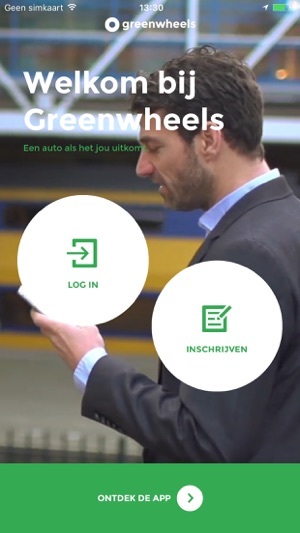 Met de Greenwheels app maken we autodelen makelijk. 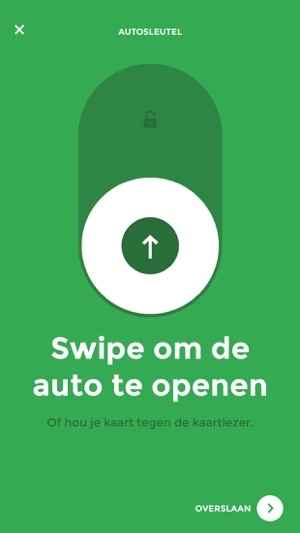 Je kunt eenvoudig een auto reserveren, een auto openen en je reis verlengen. 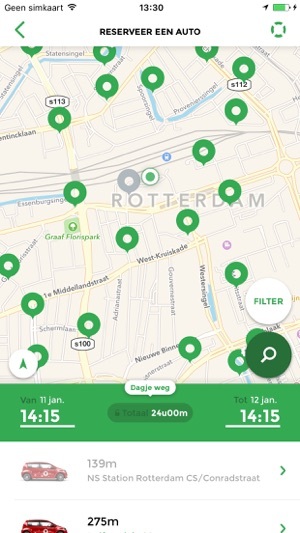 Als je nog geen Greenwheels klant bent kun je je binnen 1 minuut inschrijven om in een Greenwheels auto te kunnen rijden. Perfect for us. Even as primary car so far. Seems a perfect solution for us. Its a 5min walk from our house. 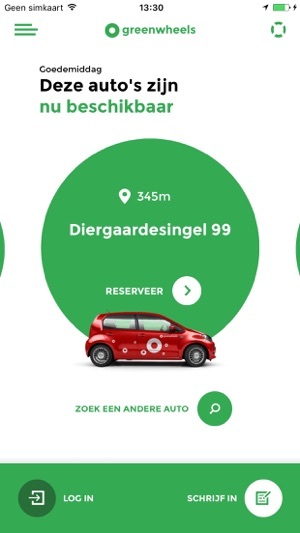 Whenever we needed a car, so far 5 times in the last 2 weeks (which is when we joined greenwheels), a car was available. This experience stopped us from getting a second car. We have a car but cant drive it yet, as we brought it as part of our international move. We still have to finalize the paperwork before we can drive it. So thus far we have been using greenwheels as our primary car. Even that works for us. The small car works perfect for short trips. For long distance, i wished we could get a bigger car. In fact, i wiuld not mind adding our own car to the greenwheels pool. Get rid of shake to talk. 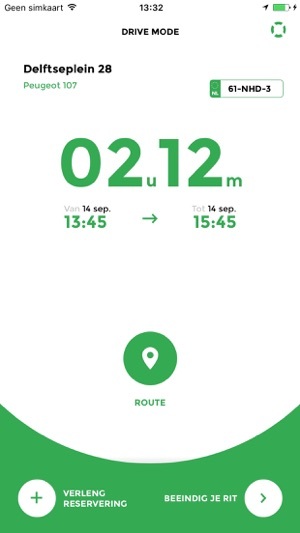 Include map of car location in sensible spot. Super slow to load. Intro videos are annoying and kill speed.